The homogenization of milk is the next step after pasteurization. Manufacturers use it to alter milk for human consumption. While pasteurization involves heating the milk to kill bacteria, homogenization involves processing milk so that the cream does not separate. This results in a well-mixed beverage that has the same consistency throughout the final milk product. All milk contains water and oil, and thus in its natural state milk will not remain mixed for long periods of time. Traditional bottled milk typically contained a layer of cream on top. Historically, this layer of cream was an indication of the milk's quality. However, today's consumers generally do not prefer this separation and have become accustomed to homogenized milk products. Homogenized milk passes through small tubes during processing. These tubes reduce the size of the fat molecules in the milk. This allows the fat, or oil portion of the milk, to remain mixed in with the water portion. During pasteurization, milk's white cells collect on the bottom of the vats after heating. The homogenization process also helps to reverse this action and redistribute the white cells throughout the milk. According to "Dairy Technology: Principles of Milk Properties and Processes," the homogenization of milk may impose health risks. One theory from this research is that the smaller fat molecules allow certain substances to bypass digestion and enter directly into your bloodstream. 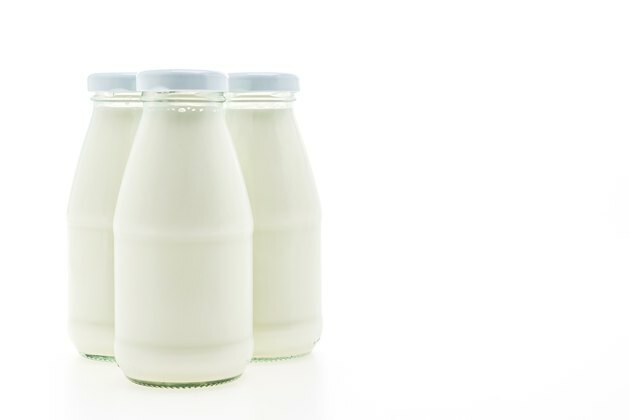 Tests remain inconclusive about the health effects of consuming homogenized milk products. According to "Dairy Science and Technology," since the homogenization process makes the fat molecules small enough to bypass digestion, milk's natural hormones and the hormones that cows receive to produce more milk also bypass digestion. Therefore, these hormones directly interact with your body's hormones. Health advocates claim that this interaction between hormones can lead to cancer and higher rates and severity of heart disease. However, clinical research does not support the claims that homogenized milk contributes to either cancer or heart disease.